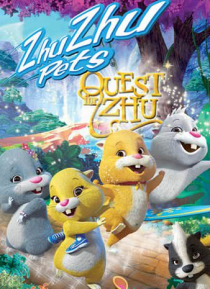 The heartwarming tale of four lively young teens (who just happen to be hamsters) on a quest to find the Palace of Zhu, where they believe all their dreams will come true. Join the feisty and lovable Pipsqueak as she gets swept away to the other side of the Zhuniverse. On her adventure, she befriends Chunk, Num Nums and Mr. Squiggles, and when they arrive at the Palace of Zhu, they realize it is j… ust the beginning of their remarkable journey.